Ancor Tecmin, established in Chile since the 90’s, is specialized in the development of technologies for electrowinning and electrorefining processes of metals such as copper, zinc, antimony, and lead, focused on improving operational efficiency and costs optimizations. Undisputed world leader in technologies of concrete and other polymeric composite materials such as Supertank® cells and accessories. It has designed, manufactured and commissioned over 25,000 concrete electrolytic cells in more than 20 countries. 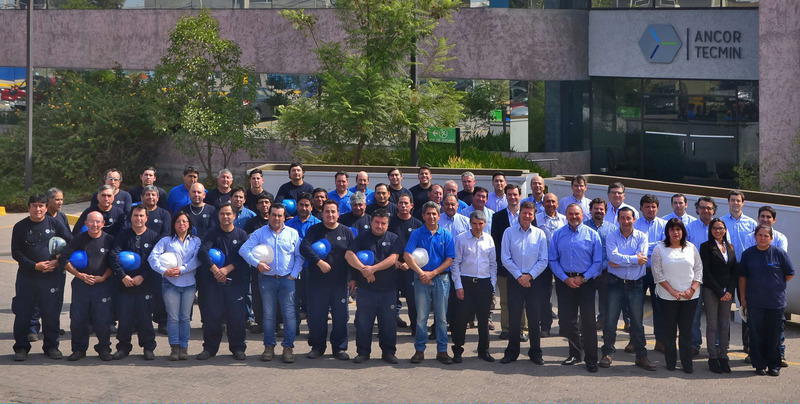 Over the past ten years, Ancor Tecmin has developed multidisciplinary engineering projects for the mining area, with a relationship of growing trust with customers, providing efficient and reliable processes and facilities that meet the highest quality and safety standards as well as the design standards and regulations in Chile and international standards. In November 2014, ANCOR TECMIN is acquired by the FIP Endurance Venture Equity, becoming Nueva Ancor Tecmin S.A. The fund will actively participate in the next stage through the development of new technologies, which will be launched to the market during 2015 and 2016, aimed at improving productivity, safety and environmental impact of both electrowinning process and electrorefining process. Ancor Tecmin’s owners and employees are a group of professionals committed to the mission to meet expectations and requirements of our customers, by providing high quality products and services at the appropriate time, which fully meet the agreed specifications, working in a collaborative, safe, and clean environment. A stable team of specialists qualified in the areas of engineering, central workshop, production and sales, works at Ancor Tecmin. These specialists have actively participated in the design, manufacture and implementation of products and services of our company. Their stability and commitment, plus ongoing training, ensure the quality of our products. They do not delegate any critical task of the industrial process to third parties, so knowledge and experience remain within the company. We manage our business in accordance with high ethical standards, being respectful of the social environment, the environment and local regulations. To guarantee our customers a comprehensive industrial maintenance service that ensure the achievement of their business objectives, based on improvement and fulfillment of key performance indicators, ensuring the preservation of assets, with the highest quality, environmental control, occupational safety and health, in a suitable work environment and with the necessary technology to ensure the sustainable development of customers’ business and Ancor Tecmin. We act with a long-term and global reach vision by establishing strategic alliances with our customers, suppliers and partners. We are leaders in technological innovation. We provide comprehensive and creative solutions that represent competitive advantages for our customers. We are part of a work team that is highly motivated, questions the status quo and is eager for new challenges, where leadership and individual and collective contributions are rewarded. Meet or exceed the expectations of our customers, by putting all our effort, enthusiasm and creativity at their disposal to provide comprehensive and efficient solutions to the challenges they pose us. Develop innovative products and services with high value added for our customers, maintaining standards of reliability and promptness above the industry. Act with a long-term and global reach vision by establishing strategic alliances with our customers, suppliers and partners. Establish a highly motivated, innovative, eager for new challenges work team, in which leadership and individual and collective contributions are rewarded. 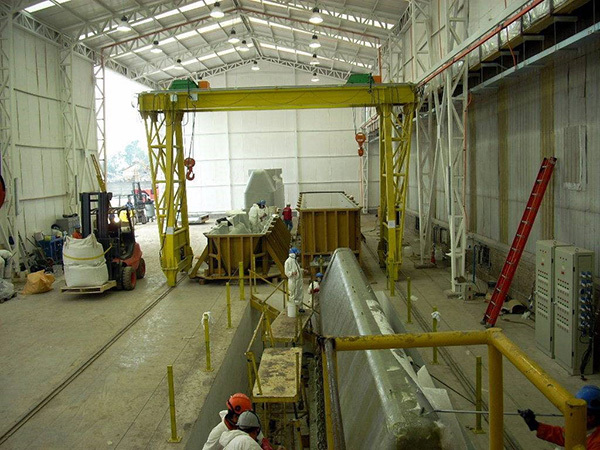 The realization of the principles necessarily mean that we are all responsible for the quality and continuous improvement of these, and is one of the pillars underpinning the development, prestige and permanence of Nueva Ancor Tecmin S.A.
Our main manufacturing plant is located in Chile, although through the years we have operated work facilities in several places, including USA, Poland, Indonesia and Mexico. 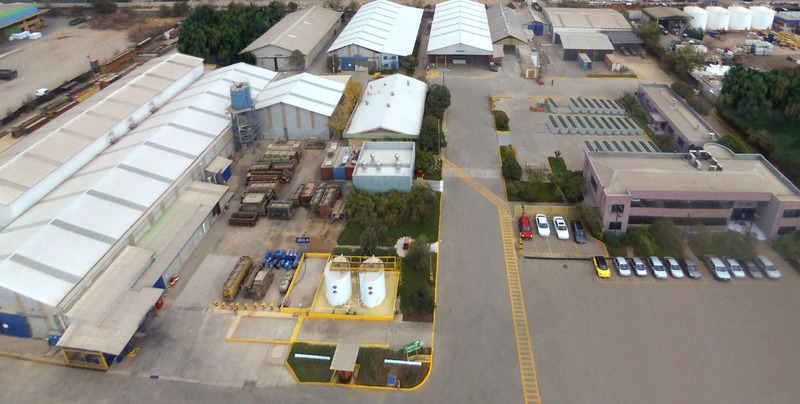 Ancor Tecmin has high-level industrial-class facilities, designed and built with capacity and flexibility for the manufacture of products of various types and sizes, such as manufacturing of molded polymer concrete, particularly monolithic pieces of large dimensions and weight as the Supertank® electrolytic cells. Its continuous metering equipment in the automated process of polymer concrete mixture, controlled by PLC is highlighted, which allows the production of large monolithic cells within a range of reasonable time with a high standard of quality control. It has a certified plant, committed to the environment and workers. This plant has a gas and waste handling system and a solvent distillation system. It also has a controlled and heated environment, which ensures the quality of the products. Ancor Tecmin has a modern laboratory that supports the development of new products, processes and materials, in addition to evaluating design innovations and supporting the quality system of the production plant.